Welcome to August, I just can't believe how quickly this year is going! I can barely keep up with the pace of it! So today I want to tell you about some of my favourite websites at the moment. I hope these inspire you as much as they do me. There are some wonderful motivating and informative gems hidden within some of these sites, so have fun trawling through the pages. World of Wanderlust is an established travel blog with a mission to inspire, intrigue and inform readers to travel to more places, more often. Zanita.com is the fresh new voice of model, photographer and blogger Zanita Whittington (and her team of creatives). Established in October 2013, Sonia Styling is a cocktail of fashion, life, beauty and home served up with a dash of sass, a sprinkling of humour and a generous shot of honesty. This is the website of The Collective is a monthly 176-page lifestyle magazine that brings together entrepreneurial and creative minds from across the globe. They are a collection of game changers, rule breakers, thought leaders and style makers with a common appetite for challenging the status quo. Kaleidoscope is a savvy resource for the modern day woman — a one-stop-shop overflowing with real life, been-there-done-that wisdom and curated inspiration. I hope within these sites you find some interesting gems and are inspired by the beautifully curated content and imagery. 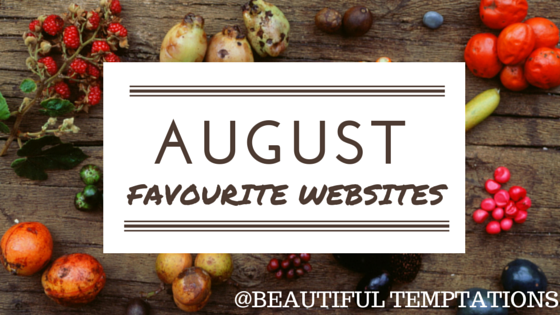 Let me know in the comments below you current favourite websites! 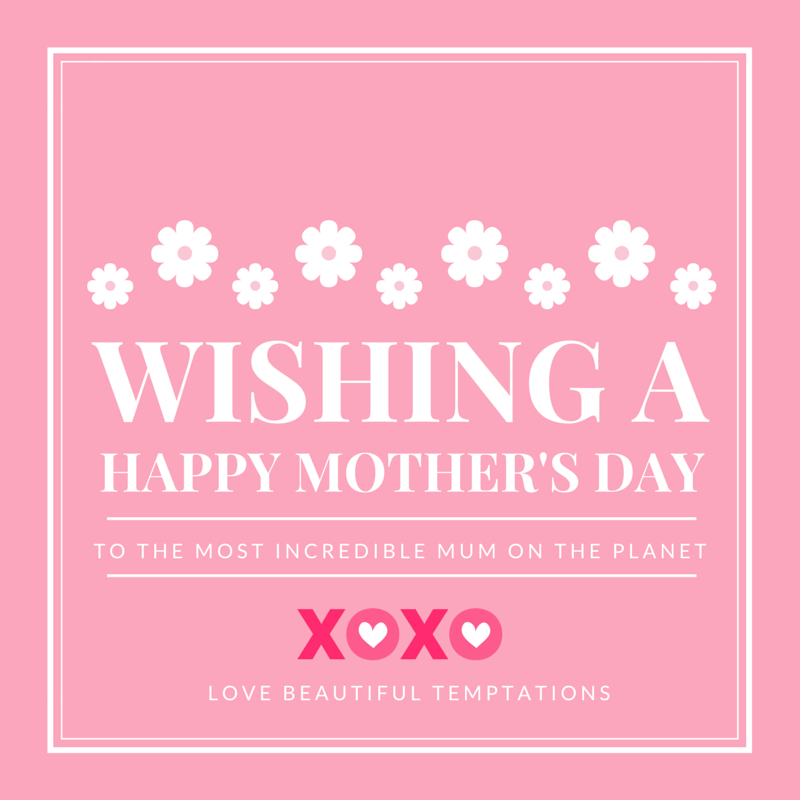 Beautiful Temptations was created to celebrate the happiness and joy of life! 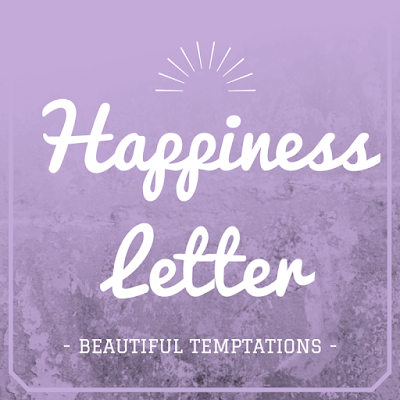 This month we are launching our Happiness Letter, designed to be a happy and inspiring pick-me-up in your life! The Happiness Letter was created with the purpose of bringing more joy and inspiration into your life! The letter is priced at $5, with a $1 postage fee and can be sent anywhere in Australia! 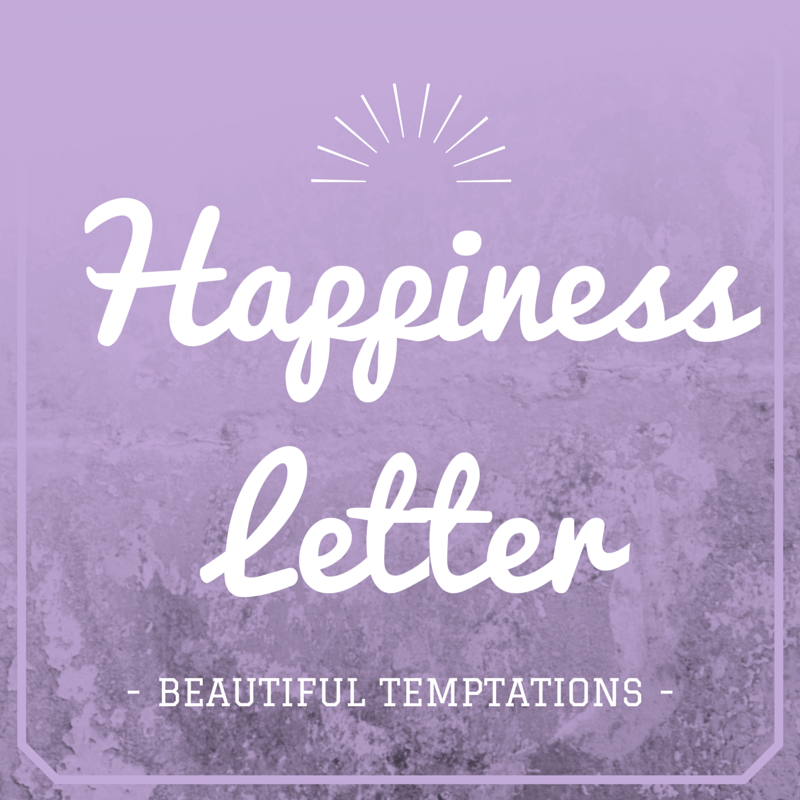 We hope you love the Happiness Letter as much as we do, and it brings some brightness into your life. We change the contents each month, so come back again and buy next months if you love it! 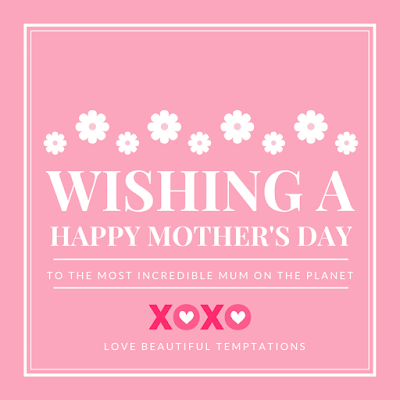 Beautiful Temptations would like to wish all the Mothers out there a very happy day! Zk'in kindly sent me these products for review purposes. All opinions are my own. Using these links if you purchase gives me a few dollars to help with running the blog, and it would be greatly appreciated. Every zk'in product is COSMOS certified organic, the new global standard for the cosmetic industry, which means every aspect of zk'in, from product formulations to packaging, meets the strict criteria designed by COSMOS to safeguard your own health as well as the health of our planet. Every zk'in product is dermatologically tested and approved non-irritant by a dermatologist so you can trust zk'in to naturally care for your skin without irritation keeping you honestly beautiful regardless of your type of skin." 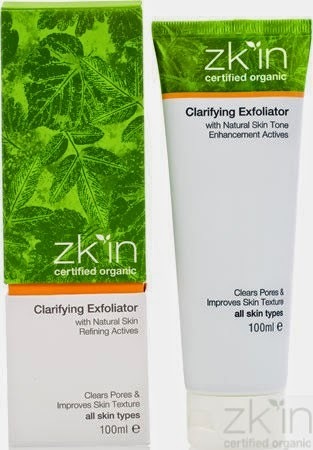 This exfoliator left my skin feeling smooth and clear after using it. It ha quite a strong citrus/coffee scent, and felt like small coffee grounds. I liked the feeling of larger exfoliating particles on my face, so I really enjoyed this product. Although it is a more expensive product, the fact that it is all organic and I'm not putting chemicals on my face is a huge positive. It was also really effective so I believe its defiantly worth the price tag. After using this product for the last few weeks Ive defiantly noticed a difference. My skin is a lot more smooth and supple, and my dry spots are disappearing. Unlike some other masks, this one doesn't ale me breakout, or leave me with oily skin. I wash it off in the shower, and it comes of really easily. It has a lovely smell of dark cocoa, which I found to be quite pleasant. I definitely recommend this product also. 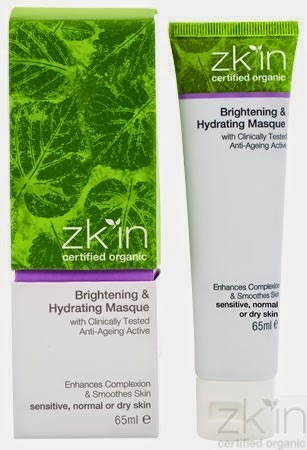 After looking through the Zk'in website, I can see how much care they have taken to ensure their products are organic and free of nasty chemicals. I really look forward to trying more of their range in the future. 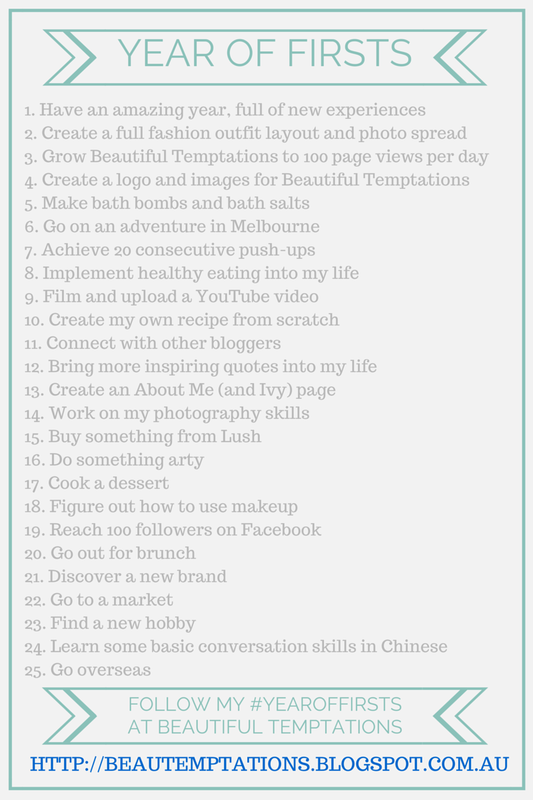 So today I'd love to recommend this fantastic blog, specifically this post, '50 Things To Do When You're Bored' by Elise over at The Confetti Room. I've been following this blog for awhile now, and Elise inspired me to start the #YearOfFirsts list on this blog for 2015. 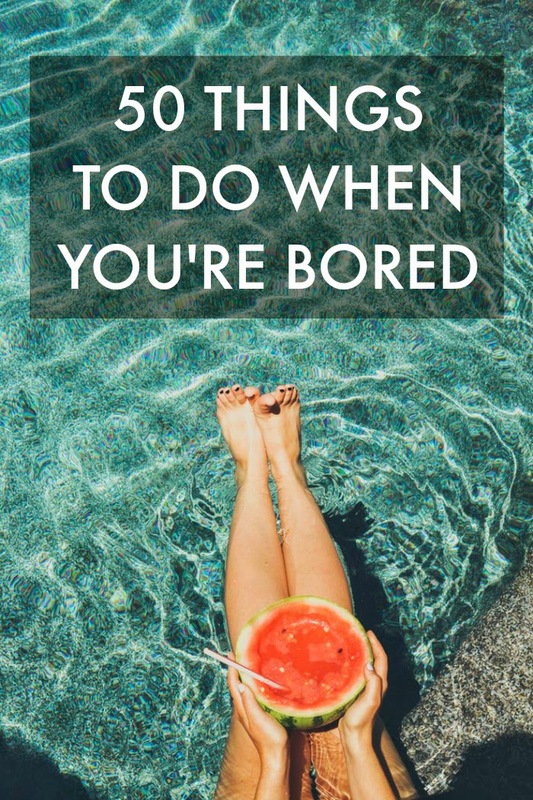 Her latest post '50 Things To Do When You're Bored,' was pretty awesome, and had a huge list (50 to be exact), of great things to do, so you can never complain about being bored. "Have a Home Retreat: Buy some bubble bath, use those bath bombs you got for Christmas or that bubble bath you've been meaning to make, play your most relaxing music and just soak. Later spend time laxing in the sun reading your favourite magazines and then have yourself a delicious scrumptious meal of your choice. Finish off with a decadent desert and a nights sleep in a freshly linen-ed bed. Ahhhh bliss." So if you're feeling a little bored at the moment, why don't you check out Elise's post over at The Confetti Room. You've got nothing to loose, and who knows, you might just love one of her ideas! Let me know which idea you pick! So a couple of days ago when I was in town, I decided to treat myself, after having a barrage of medical checkups. I went to Lush, Sportsgirl and The Body Shop. Some of the items were on sale, so you may not be able to find them at that price anymore, but I'll mention that when I list the price! I've been using most of the products since then and am pretty happy with my purchases! So naturally I headed into my favourite store, The Body Shop! From here I got the Tea Tree Skin Clearing Lotion ($11.95), Tea Tress Blemish Fade Night Lotion ($19.95), Travel Size Argan Oil Shower Gel ($3.95), Coconut Hand Cream ($6.95) and Peppermint Foot Fizzles ($2.95). The Tea Tree products are working miracles on my skin, and its looking so much better already! These items I got on sale from Sportsgirl. They were all heavily discounted at 50% off the sale price so I was happy to pick them up! These beauty products are from their own line, and I've had success with their beauty products in the past. I got the Nail It Moondust Nail Polish ($2.47), Colour It Hair Chalk ($2.47) and Eye Sparkle Glitter ($2.47). I love glitter and the nail polish is great! The hair chalk also has been a pretty cool, and safe addition to my boring blond/brown hair colour! The last shop on my shopping haul was to Lush, my first time making a purchase. I really wanted to get one of their amazing looking bath bombs, but sadly I don't have a bath. I also discovered they had a makeup range so I'll have to investigate in the future. I got the Ultrabalm ($9.95), Grease Lightning Spot Treatment ($13.95), Yellow Fun ($9.50), Aquatic Toothy Tabs ($2.95) and Breath of God Toothy Tabs ($2.95). Toothy Tabs ($2.95). The Ultrabalm is working wonders on my dry heels, the spot treatment is saving my face and the yellow fun has been a great replacement for body wash. The only purchase I was disappointed with were the Toothy Tabs, they were horrible, and I felt pretty sick after using them. The smell and taste was overpowering and after trying one, I'm not going to use or buy them again. I wouldn't recommend these to anyone. Overall apart from the Toothy Tabs from Lush I'm super happy with my shopping haul! Have you had a beauty shopping haul lately?